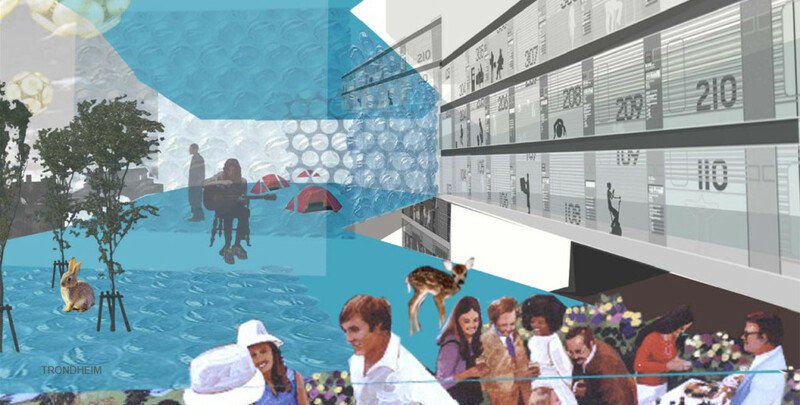 Jury remarks: Cumulus is a solid architectural concept that solves the challenges of the site in a convincing way. It can be successfully implemented even if only a part of the project is realized. 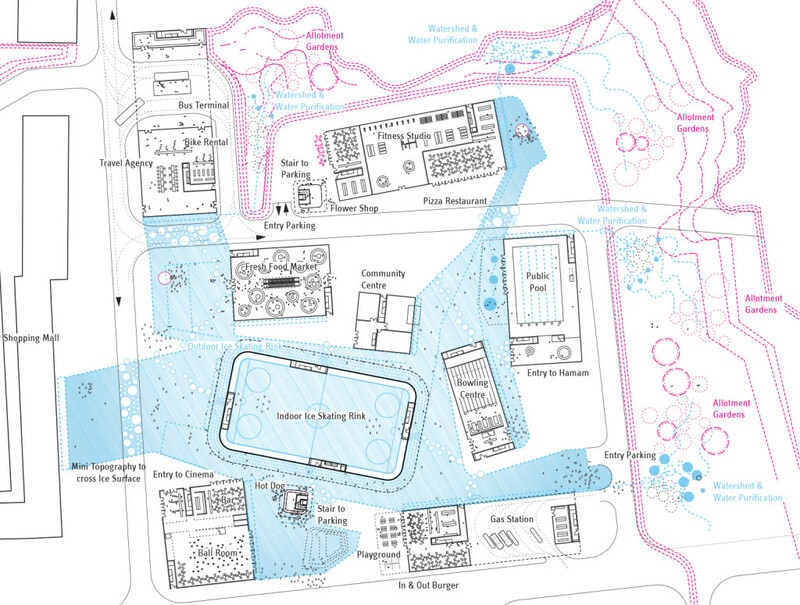 Cumulus has a good argumentation for the chosen strategy of “Eco-water-circulation”, and it seems to provide an answer to the problems of lack of identity of place, as it also gives management possibilities for research, education and local engagement. The strategy is founded on a basic principal that the city is already there. By choosing a generic perspective, the place can start to develop by itself. The programmatic approach is the strength of the project, as the tools are already there and it is only to reorganize the programs on the site. The idea is easy to communicate and easy to “sell” as it generates enthusiasm. Although the housing project is more a scheme than an architectural solution, the scale seems sensible but should be considered carefully in further processes. A-step-by-step plan should be developed. 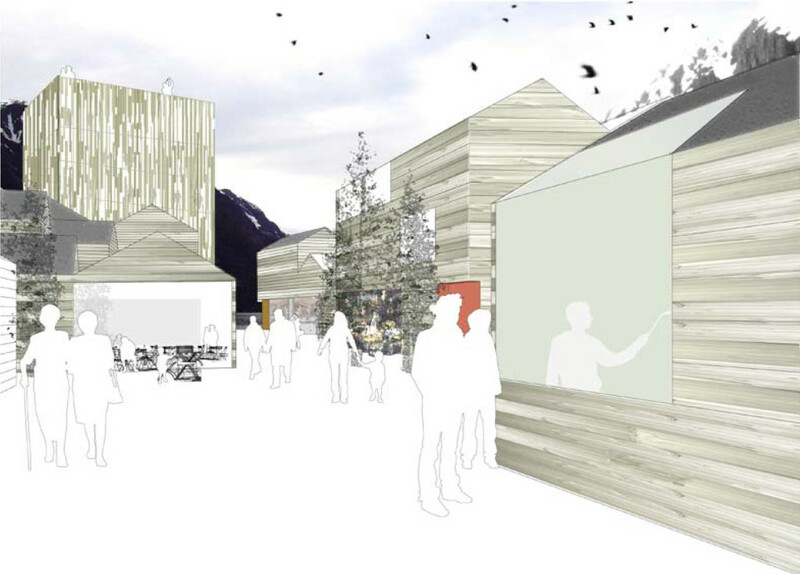 This is a project that is conceptually solid and in this way a clear winner. 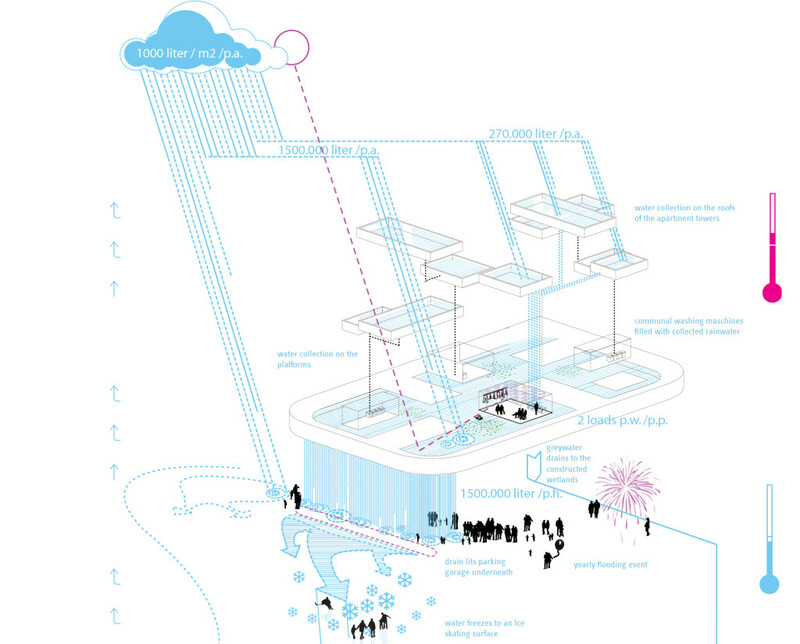 There is a promising sectional understanding of public space in direct connection to the public programs at ground floor, which almost guaranties successful in-between urban spaces. Upper housing levels are articulated and thereby generate views for the apartments, creating good semi-private common areas. 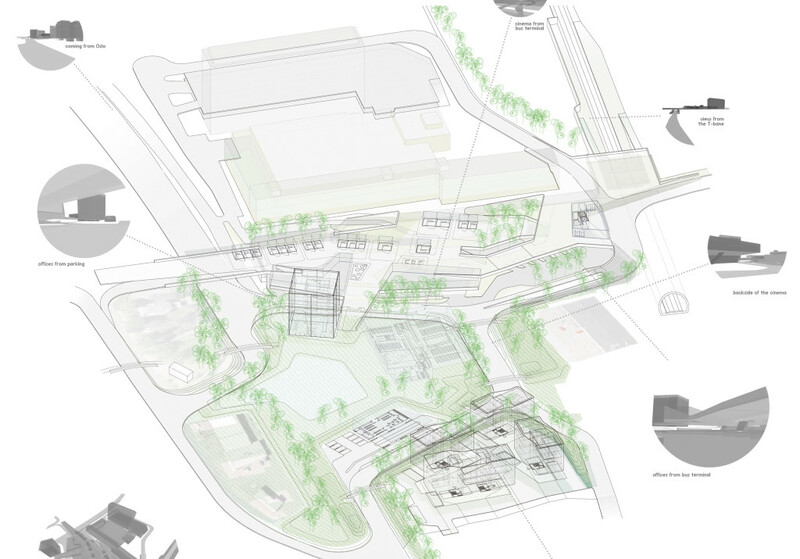 The degree of densification and the scale of the proposed development are quite appropriate for a place like Oslo/ Grorud, – which is desperately asking for a new order and an identity. All though the “water cycle” idea is a new attitude in a city-space context – and high on CO2 agenda, – it should be studied further to see if it is viable. The proposal is beautifully organized and presented. The Grorud Valley is an extension of the Oslo city from the 60-s with about 130.000 of the capitals inhabitants. The valley is a fully occupied urban site. The residential areas are located on both sites of the valley bordering to nature. The lower part of the valley is part of the main highway system and huge industrial areas. Oslo is expanding through increasing density and a large city / state-subsidized urban renewal program is about to be launched for the Grorud Valley. 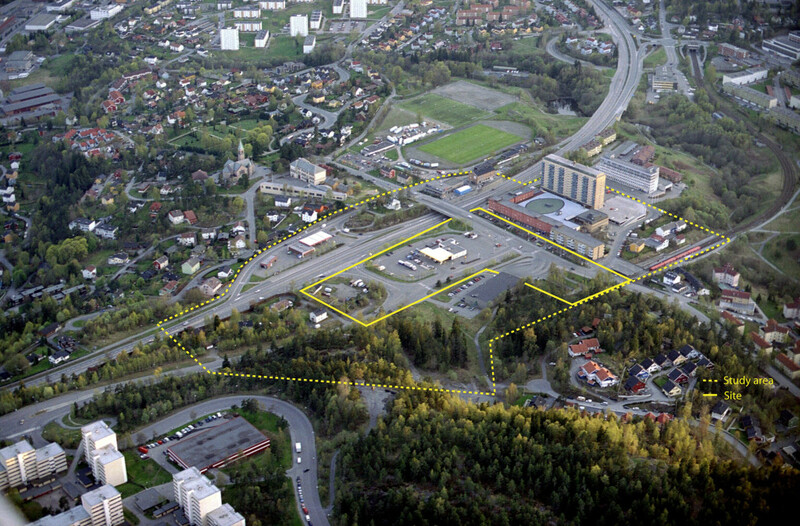 Grorud centre is a typical suburban challenge with lack of urban intensity and housing diversity. Today Grorud centre is a transportation node serving enclaves of housing, shopping center, gas station and recreational/ sport areas. The node itself is a transitional space that separates rather than stitches together the enclaves and the open spaces. How can new development and programs repair the area? The challenge now is to investigate an interesting transformation of the area’s existing public spaces and suburban logic. The programming of the new development can set a new trend for the area. Mixed use, potentially with high density is one of the main challenges for the site. The cultural aspect of the programming can bring new ideas and point out important issues for the future of the centre. The public space/boulevard linked to public transport terminal should be given new ideas and be developed as central parts of the programming.